The ENFIA real estate tax was institutionalised in order to serve the objective of the government – skinning the taxpayer in order to pledge handouts before the general election. The ENFIA real estate tax bills have been sent out. Taxpayers are called upon once again to dig deep into their pockets to pay a tax which the current prime minister, before he was elected, had said was “irrational”, and as such “it cannot be corrected, but rather must be abolished”. Alexis Tsipras made this pledge just four months before he came to power. Meanwhile, taxpayers did not only see that the tax was not eliminated, but rather that it was increased. This irrational tax became even harder to shoulder for one million taxpayers. It was institutionalised in order to serve the objective of the government – skinning the taxpayer in order to pledge handouts before the general election. That logic, however, is irrational, as the prime minister would say. It is irrational because the tax foray has only one result: the obliteration of the middle class. 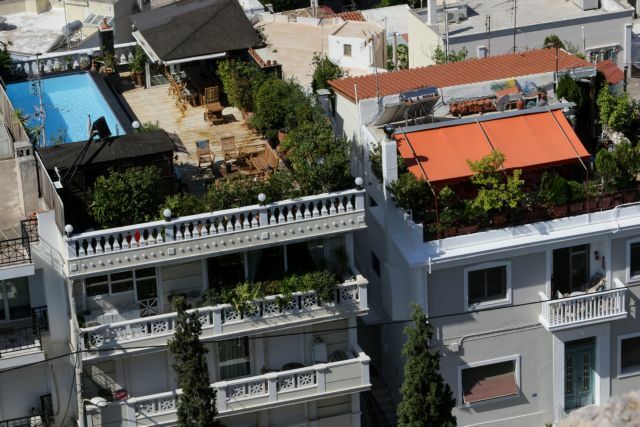 The middle class expanded in Greece in the post-junta area (since 1974), with the inclusion of the lower economic brackets that progressed with their toil and work. The government appears to harbor disdain for that toil and work. It insists on the divisive practice of separating voters into two categories – those who are a potential clientele whose votes it can grab, and those whom it does not view as “its own people”, and treats with hostility. This irrational tax serves aims that can only be characterised as political absurdity.